Recent advances in sensing technologies are leading to the development of miniaturised sensors that could be used as stand-alone devices, connected to smartphones or even embedded in smartphones. These sensors and apps create opportunities for more detailed environmental monitoring, as compared to official monitoring networks, and to involve the general public in environmental monitoring through participatory data collection and monitoring schemes. However, depending on the aspects of the environment that are monitored, technical complexity can differ quite a lot. Proper monitoring often requires important efforts in developing and validating sensing devices and in processing the collected data. 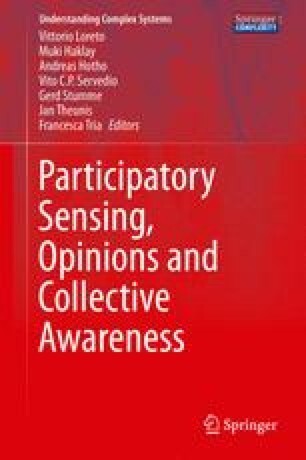 This chapter deals with low-cost sensing devices and smartphone applications for physico-chemical environmental parameters, that can be used, possibly with some training, by non-specialised people, and as such create new opportunities for collection of novel data and improved monitoring of the environment. It starts with examples of novel sensing devices and apps for different environmental domains, and proceeds with a detailed overview of the possible added value, the technical challenges and future prospects in two specific domains that recently received a lot of interest, air quality and sound monitoring.